The time has come to get your little ones on the dirt! 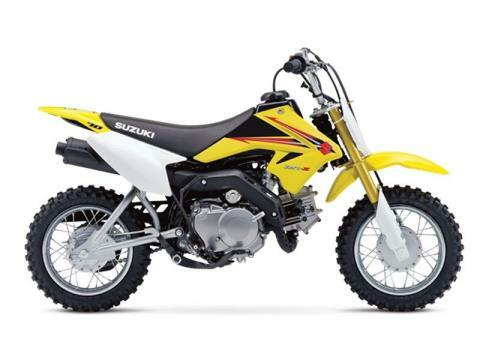 The Suzuki DR-Z70 brings ease and convenience to young riders getting started on two wheels. With an automatic clutch, 3-speed transmission, and electric starter, this race styled bike will help build confidence and riding ability for young supervised riders. Get your whole family involved in the Suzuki Way of Life with the 2015 DR-Z70!